We combine mobile technology with system application and deliver the right value to the customers. 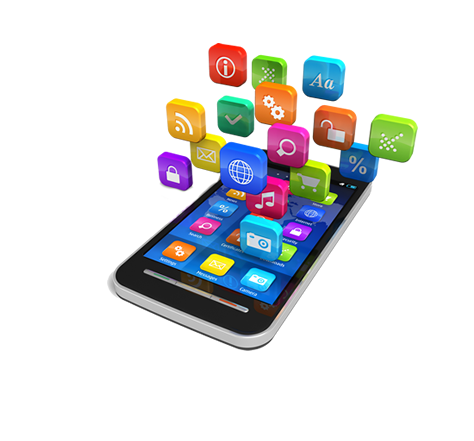 Define your business needs and differentiate with latest mobile technologies to develop mobile applications. We are tapping new markets and reaching our customers’ needs with focused mobility solutions to excel their requirements. Our mobile applications are accessed through mobile, tablet or smart phones. We develop customer friendly mobile applications to provide quick data processing. We have technically proven mobile app developers to work on iphone, ipad and android development. Our mobile app development team ensure with genuine coding to transform your business with leading –edge mobile technologies. * Ios-Our expertise mobile app programmers are enable to work on iphone or ipad based applications. We follow systematic approach to deal with clients from the initial step to delivery of the product. We do primary research of the requirement and develop in a structured way and test the project in all aspects and deliver the app with final approval client. * Android: Android has occupied great place in smart phone market and generated numerous opportunities for mobile app developers with Google Android SDK. We use SDK to develop android apps to deliver proactive apps. .